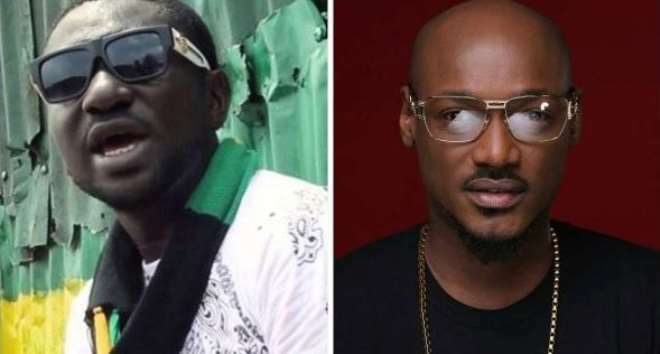 2face Idibia has once again reacted to recent outburst by his former band member, Blackface as their long standing beef continues to gain momentum. Blackface who claims to have built the name Plantashun Boiz is accusing 2face and his manager, Efe Omorogbe of stealing his song titled ‘Let Somebody Love You’. In this new interview on Max FM, 2face simply says, "na only Black fit explain the problem he get with me". Both musicians already have a case in court over copyright infringement. Earlier this month, Blackface took to his Instagram page to declare total war on 2face. He wrote: "Can the #WAR officially begin @official2baba ? I say it has now #officially… even though you been taking secret shots but you can come out in the open now You know your career is going to end when this is finally over #youareoverwith2019."